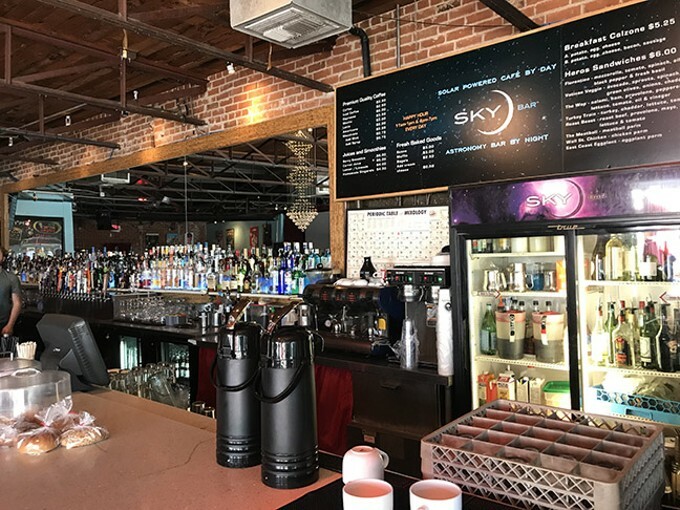 If you thought Sky Bar was just great because of its awesome patio, cheap and yummy coffee drinks, regular live music and DJs, open mic, hottie bartenders and proximity to slices of pizza, you must not have checked out their amazing cocktail selection. Why go somewhere else and drink a Bloody Mary when you can have a Sky Bloody Mary? Tired of waiting for season 4 of Rick and Morty? Ease the pain with a Get Shwifty cocktail garnished with pop rocks. An Old Fashioned with sage and flamed orange zest, gin with lemon and lavender-earl grey, or spiced rum with ginger and green-tea jasmine are just a few of the heavenly delights you'll find on Sky Bar's cocktail menu.